For a longer version of these ideas, see this May 10 post. The USA Today’s automobile writer, James Healey, has started adding GPHM to his automobile reviews. We need the EPA, DOE, and Consumer Reports to follow suit. 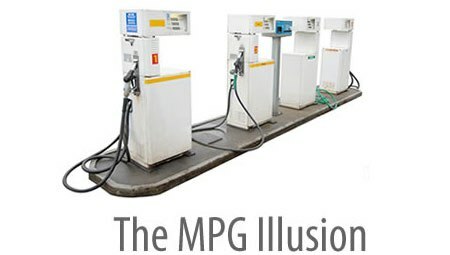 To see the gas savings from a Cash for Clunkers trade in use the table from this May 29 post or go to the gallons per mile calculator at http://www.gpmcalculator.com to explore savings over different distances and gas prices.